Our laboratory is focused on understanding how poxviruses are detected by the host innate immune sensing mechanisms and how poxviruses evade host antiviral responses. We are also interested in the development of poxvirus-based oncolytic and immunotherapy for cancers including melanoma. 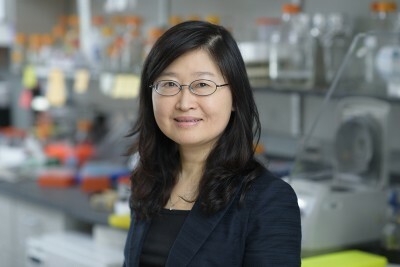 Physician-scientist Liang Deng studies poxvirus interface with the immune system and the development of poxviruses as oncolytic and immunotherapy for cancers. Shaw K.S., G.H. Nguyen, M. Lacouture, and L. Deng. (2017). Combination of imiquimod with cryotherapy for the treatment of penile intraepithelial neoplasia. JAAD Case Rep. 3(6):546-549. Dai, P., W. Wang, N. Yang, C. Serna-Tamayo, J.M. Ricca, D. Zamarin, S. Shuman, T. Merghoub, J.D. Wolchok, and L. Deng. (2017). Intratumoral delivery of inactivated modified vaccinia virus Ankara (iMVA) induces systemic antitumor immunity via STING and Batf3-dependent DCs. Science Immunology 2, eaal1713: 1-15.